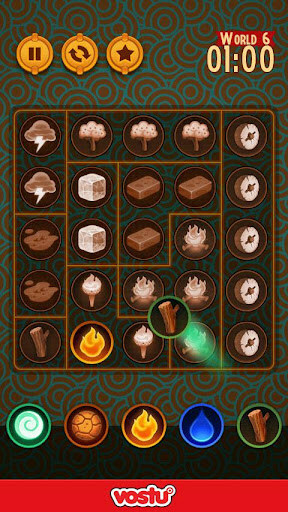 Elemental – Games for Android 2018 – Free download. 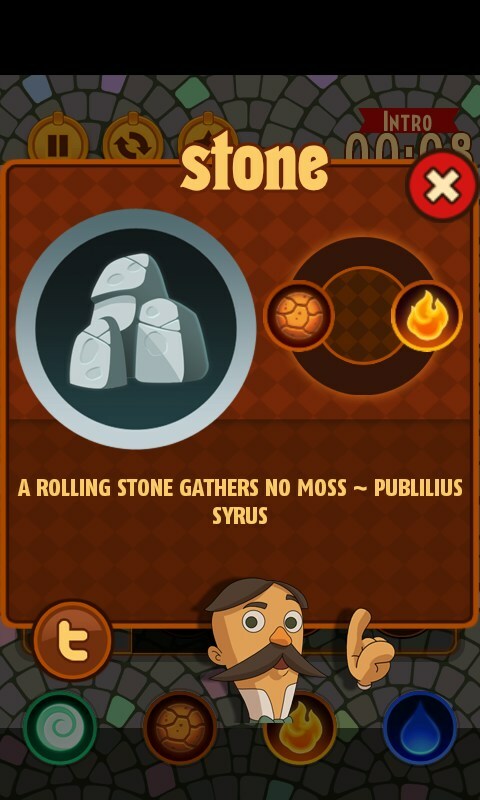 Elemental – Interesting brain teaser for Android. 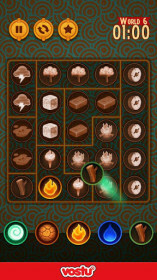 Elemental - a beautiful jigsaw puzzle for the Android-smartphone that will appeal to all fans of the classic game "Sudoku", who are already tired of the endless numbers. There are almost the same, but with the use of beautiful ties of natural elements. Game rules are very simple: you need to place the elements necessary for the cells so that the vertical and horizontal not cross the same elements. In this case, we can not arbitrarily scatter of existing items, you must follow certain rules. 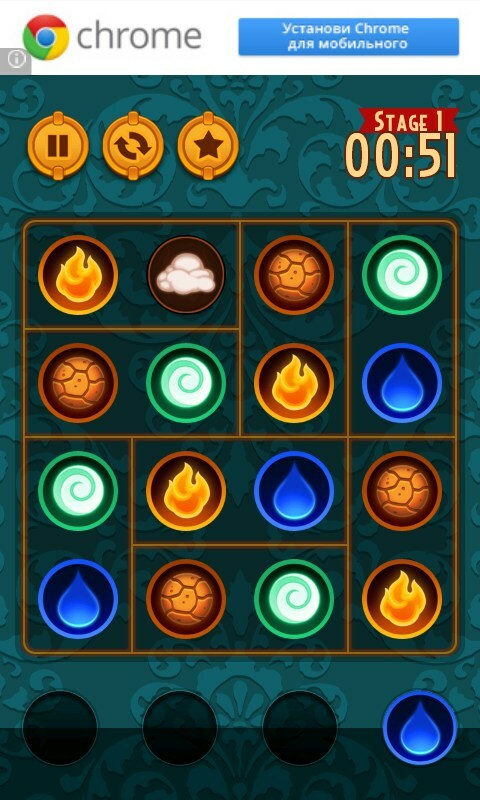 For example, to create steam, you need to cross the water to the fire, so these two cells, we move the data elements. For comfortable, lines allocated compartments, which is necessary to collect a combination of elements. In the end, when we arrange the items on the right places, they samounichtozhatsya, and we'll go through the game. A total of 12 levels of the game, not including training, and to get everyone to play a lot of 3-4. 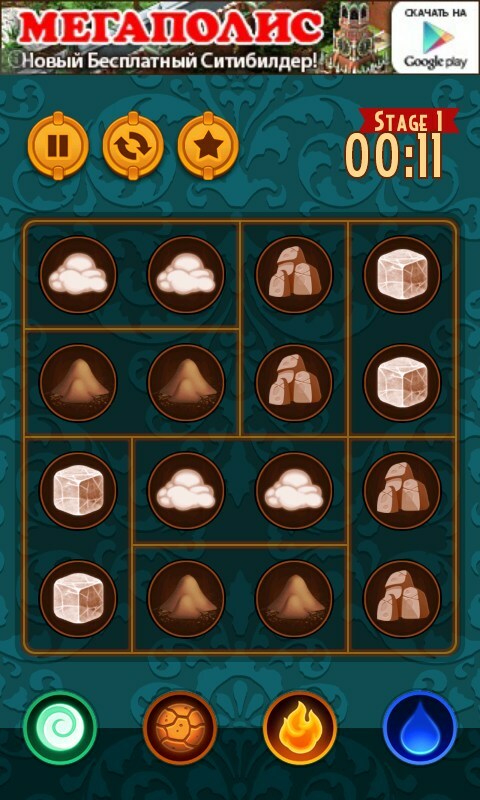 Thus, in Elemental you will find over 40 levels, which is approximately equal to 4 hours of continuous play. Only, even if you pass the whole game, nothing prevents replay all over again, because here, as in Sudoku, dominates the process, not the result. If you have trouble, you can call help by clicking on a star at the top of the screen. There is also a reset button, which is generated when a new field for the game. 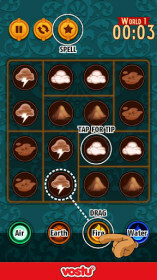 With each level the number of cells increases as the complexity of the combination of elements that you have to play. To get maximum points, you need as quickly as possible to pass the level and try not to use the tips. The game is absolutely free with built adware. With this you can get rid of the ads by purchasing the full version at a modest price of $ 1, or get it for free by installing a few games and programs from partners. 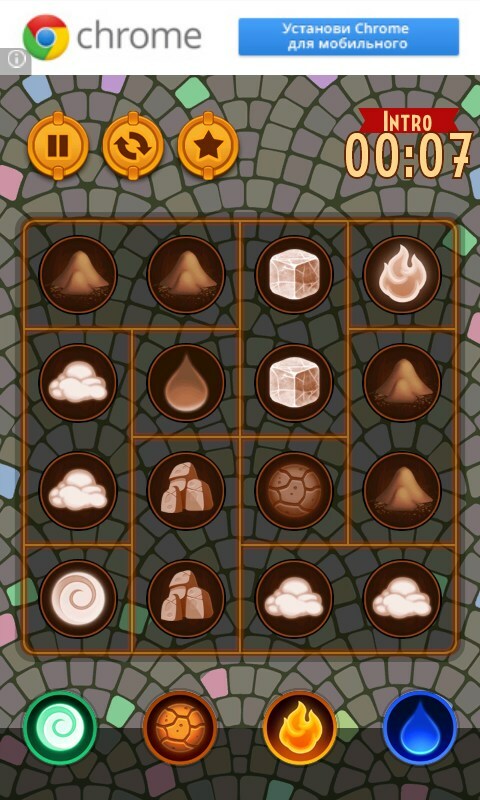 Elemental - This is a colorful and interesting puzzle game for Android, as well as good and exciting alternative to the "Sudoku", which allows for a fresh look at this classic game.